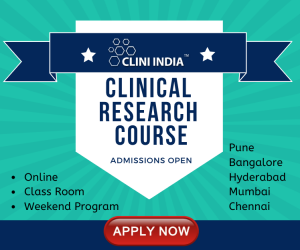 The present research work deals with the development and validation of stability indicating RP-HPLC method for the simultaneous estimation of Aceclofenac and Drotaverin.HCl in bulk and formulation. 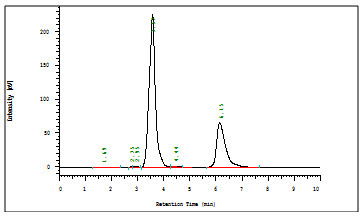 Chromatographic separation was achieved on ODS HG-5 RP C18(250 X 4.6 mm, 5 µm) using the mobile phase consisting of Acetonitrile and1% triethylamine (TEA) in the ratio of 90:10 pH 2.16 adjusted with Ortho phosphoric acid. The mobile phase was pumped at a flow rate of 1.0 mL/min and UV detection was observed at 224 nm. The retention time was found to be 3.57 min for Aceclofenac and 6.15 min for Drotaverin.HCl. The linearity concentrations are obtained from in the range of 30-70 µg/ml for Aceclofenac and 24-56 µg/ml for Drotaverin.HCl respectively with correlation coefficient was 0.999 and 0.998. The proposed method was found to be simple, accurate, precise and reproducible and developed method can be suggest to routine quality control analysis for simultaneous estimation of Aceclofenac and Drotaverin.HCl in pharmaceutical dosage forms. Aceclofenac chemically known as 2-[[2-[2-[(2, 6-dichlorophenyl) amino] phenyl] acetyl] oxy] acetic acid. It is a largely based on the inhibition of prostaglandin synthesis. Aceclofenac is a potent inhibitor of the enzyme cyclooxygenase, which is involved in the production of prostaglandins. 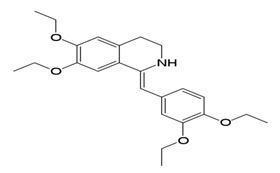 It inhibits synthesis of the inflammatory cytokines interleukin (IL)-1 and tumor necrosis factor and prostaglandin E2 (PGE2) production (Budavari,1997). 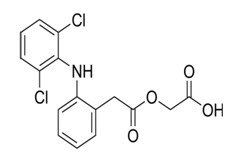 Drotaverin HCl chemically known as (1Z)-1-[(3,4-diethoxyphenyl)methylidene]-6,7-diethoxy-1,2,3,4-tetrahydroisoquinoline.It is a selective inhibitor of phosphodiesterase 4, and has no anticholinergic effects. Drotaverin has been shown to possess dose-dependant analgesic effects in animal models. One small study has shown drotaverin to be eliminated mainly non-renally (Mahajan VK et al, 2006). Extensive survey of literature very few methods have been reported for the quantification of Aceclofenac and Drotaverin in invidully and combined dosage form by using UV (Jameelunnisa B and Abdul R , 2008) and RP-HPLC (Bolaji O et al, 1993)( Rasagna A et al, 2014) methods. 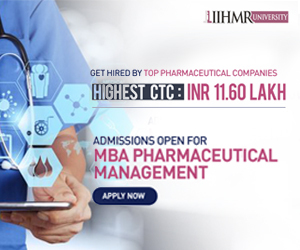 Then need to develop simple, precise, accurate, robust and cost effective stability indicating RP-HPLC method for the simultaneous estimation of Aceclofenac and Drotaverin in bulk and pharmaceutical dosage form. Working standards of Aceclofenac and drotaverin were procured form gift sample of Flemingo Laboratories Ltd, Pune. HPLC grade acetonitrile and water was purchased from Merck laboratories, Mumbai. AR grade triethylamine was manufactured by SD Fine chemicals limited. The liquid chromatographic system made up of Hitachi LaChrome HPLC Model-1575 consists of UV-VIS detector, binary pump and septum injector valve with 20 μl fixed loop. The analytes were monitored at 224 nm. Chromatographic analysis was performed on ODS HG-5 RPC18 column having 250 mm× 4.6 mm i.d. and 5 μm particle size. Pipette out 2 ml of TEA and then dissolve in 200ml of HPLC grade water .Then adjust the PH to 2.16 with diluted ortho phosphoric acid. Mixture of Acetonitrile and TEA in the ratio of 90:10% v/v was prepared and used. Before preceding the analysis mobile phase was degssed by sonicator and filtered with 0.45 µ membrane filter. About 100 mg of Aceclofenacand 60 mg of Drotaverin.HCl were weighed and transferred into a 100 mL volumetric flask containing 25 mL of water. The solution was stirred for 5 minutes and made up with a further quantity of the mobile phase to get 0.1mg/mL and 0.5 mg/mL Aceclofenac and Drotaverin.HCl respectively. This solution was further diluted to get required concentrations during study. Aceclofenac and Drotaverin. HClcombined dosage form was purchased from the Local market. 20 tablet are individually weighed and powdered. Drug equivalent to 10 mg of Aceclofenac and Drotaverin tablet powder transferred into 10 ml volumetric flask dissolved in 7 ml of mobile phase . The contents of the flask were sonicated for about 20 min for complete solubility of the drug and the volume was made up to 10 mL with mobile phase. Then the mixture was filtered through 0.45μ membrane filter. The mean peak areas of the drugs were calculated and the drug content in the formulation was calculated. Method validation was done for the according to ICH guidelines Q2(R1). Method validation parameters like Specificity, Linearity, Accuracy, Precision, Robustness and System suitability. The system suitability for specificity was carried out to determine whether there is any interference of any impurities in retention time of analytical peak. The study was performed under Different conditions like Acid, Base, Heat and H2O2. Finally it calculates the how much amount of the drug degraded. The specificity data was shown in table 2. The system performance parameters obtained from system suitability test were found to be within limits for Drotaverin.Hcl &Aceclofenac indicated that the developed method is precise. The results were shown in table 3. The data obtained in the calibration studies when subjected to linear-regression analysis showed a linear relationship between peak areas and concentrations in the range of 24-56 µg/ml for Drotaverin and 30-70µg/ml for Aceclofenac. The linearity of calibration graphs and adherence of the system to Beer’s law was validated by high value of correlation coefficient. The data of regression analysis and calibration curve were shown in Table 4 and Figure 4 &5. The recoveries obtained were indicating that the method was accurate. Commonly used formulation excipients were subjected to chromatographic analysis and it was observed that there was no interfering peak at the retention time of Drotaverin.HCl& Aceclofenac.The accuracy of the test method was demonstrated by preparing recovery samples (i.e., test Sample) with known quantities at the level of 80%, 100% and 120% of target concentration. 10 ml of standard stock solution was diluted in 100 ml standard volumetric flask. up to volume with diluent.Precision was demonstrated by prepared six sample preparations as per the test method representing a single batch. Repeat the same procedure for remaining six preparations.% RSD to be tabulated with obtained readings in tabular form5 and 6. The robustness of the method was assessed by assaying test solutions under different analytical conditions deliberately changed from the original conditions. For each different analytical condition the standard solution and test solution were prepared separately. The result obtained from assay of the test solution was not affected by varying the conditions and was in accordance with the true value. System suitability data were also found to be satisfactory during variation of the analytical conditions. The analytical method therefore remained unaffected by slight but deliberate changes in the analytical conditions. The results obtained for selected factors remained unaffected by small variations of these parameters indicated that the method was robust.